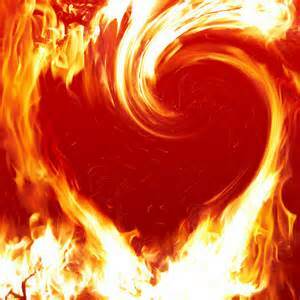 A Day of Fire: Pompeii Series: Kate Quinn Next Under Fire | Oh, for the HOOK of a BOOK! In celebration of the release of the historical novel A Day of Fire: A Novel of Pompeii, and all the time this writing clan of six authors put into it, I’ve been doing a “Ring of Fire” series where I toss the fire torch to each of the authors every Wednesday or so for SIX WEEKS in order for them to answer a few quick questions about the book. All of the authors were given the same two questions! I thought it would be fun to see each of their respective answers. Now, I wish I would have put them in the hot seat a little longer and asked them some additional questions. Today, the amazing Kate Quinn is featured (a fellow Boston Red Sox fan! ), but there are links to the three past micro-interviews too. Follow along and see what each has to say about their experience! I’m going in order based on where their part of the story falls within the book. My review will be posted during the six weeks as well, mostly likely within the next two weeks. In case you haven’t heard, or read my past posts, this book was written by six top historical novelists who joined forces to bring readers the stories of Pompeii’s residents—from patricians to prostitutes—as their world ended. It’s a combined novel by Stephanie Dray, Ben Kane, E. Knight, Sophie Perinot, Kate Quinn and Vicky Alvear Shecter, with an introduction by Michelle Moran, in which each takes on a character and intertwines them into the story. Ready for the torch pass?……take it away Kate! Q1 : What did your character bring to the volcano gods for the book (i.e. what voice did they bring to the volume)? Kate’s Answer: Pompeii is a story all about escape – as soon as Vesuvius goes up, everyone is fighting to leave. I had a chance with my narrator to flip that on its head: he is a senator battling serious depression (not that he would have a name for it at the time), and unlike the fleeing masses, he has no intention of trying to escape the disaster. He welcomes this chance for an honorable death, but a girl with a foul mouth and a fast horse is trying to drag him to safety whether he wants to go or not. I also had the chance to bring humor to this book (I’m not sure I know how to write a story without it!) Strange to say you can find humor in a tragedy like Pompeii, but my diacritically-opposed characters played off each other like a buddy cop movie, and hopefully provide some much-needed laughs before the big tragic finish! Q2: What is one of your favorite moments from the collaboration? Kate’s Answer: Collaborative writing! For the scenes where the protagonist from one story made a cameo in another, we found it was most effective to crank up an interactive Google document, and for the two authors to write the scene together, each writing the dialogue of their own protagonist so that every character stayed true to their voice. It was like an improv acting exercise but with writing – huge fun. We’ve already heard from Vicky, Sophie, Ben. Check out their answers by clicking on their name! Kate Quinn is a native of southern California. She attended Boston University, where she earned a Bachelor’s and Master’s degree in Classical Voice. A lifelong history buff, she has written three novels set in ancient Rome: “Mistress of Rome,” “Daughters of Rome,” and “Empress of the Seven Hills,” all of which have been translated into multiple languages. Kate made the jump from ancient Rome to Renaissance Italy for her fourth and fifth novels, “The Serpent and the Pearl” and “The Lion and the Rose,” detailing the early years of the Borgia clan. She also has succumbed to the blogging bug, and keeps a blog filled with trivia, pet peeves, and interesting facts about historical fiction. She and her husband now live in Maryland with a small black dog named Caesar, and her interests include opera, action movies, cooking, and the Boston Red Sox. 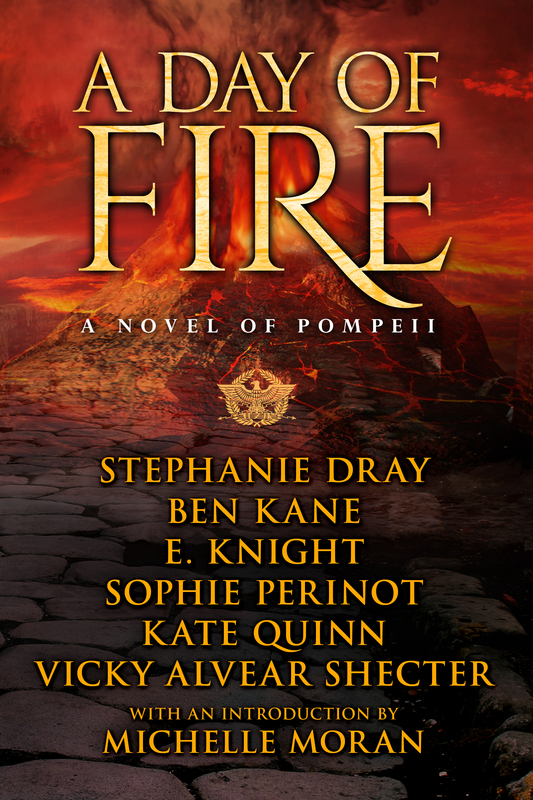 A Day of Fire: A Novel of Pompeii released on November 4, 2014. Order now! Six top historical authors bring to life overlapping stories of patricians and slaves, warriors and politicians, villains and heroes who cross each others’ path during Pompeii’s fiery end. But who will escape, and who will be buried for eternity?